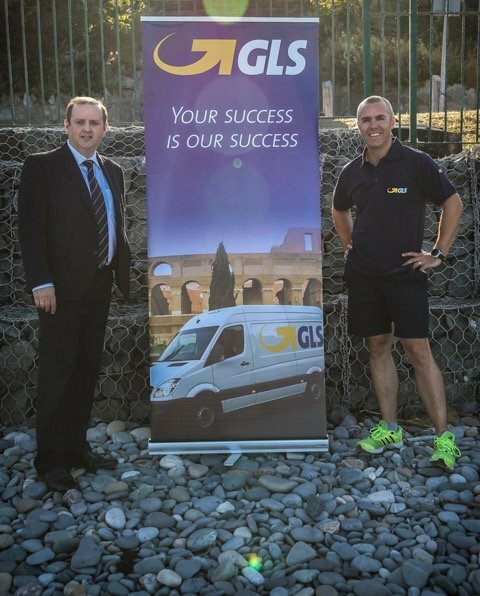 Sports commentator Dave McIntyre has been named 2018 GLS sporting ambassador for the logistics company’s Triathlon Ireland sponsorship. A seasoned sports journalist, commentator and presenter on NewsTalk’s popular Off The Ball sports show, McIntyre is currently in training for his first ever triathlon, the Dublin City Triathlon, to be staged in September. This week saw his first open sea swim training, and the triathlon novice has a rigorous schedule of swimming, cycling and running to complete over the summer, as well as gym training. Not only is the GLS ambassador supporting the company’s mission to promote the multi-discipline sport, but he is also determined and believes it is important too, to help a charity, as McIntyre explains. “I have always wondered if I had it in me to complete a triathlon, so I jumped at the opportunity to work with GLS. And, to keep me on target, I’m also raising funds for the Peter McVerry Trust, and have set up a GoFundMe page for anyone who wants to support my triathlon attempt”, the sports commentator said at the GLS launch. Dave McIntyre is donating his full GLS fee to his triathlon fundraising campaign and, in recognition of the Dubliner’s generosity, GLS has also committed a further charity donation to kick-start his fundraising attempt. Triathlon continues to be one of Ireland’s fasting growing sports, with double digit growth in Triathlon Ireland membership every year for the past five years. “For the most part, competitors are not all about winning medals or enjoying spectacular success, just the personal sense of achievement and the fitness boost in amazing scenic locations,” said Chris Kitchen of Triathlon Ireland.